To asset children who suffer from Autism Spectrum Disorder according to the diagnostic criteria of DSM5. It is a standardized scale that is advantaged with a high degree of validity and reliability. It was prepared according to Diagnostic and Statistical Manual of Mental disorders: Fifth Edition (DSM -5). It is composed of two main parts: social communication and interaction, and restricted and repetitive behaviors upon which probability of suffering from autism spectrum disorder is determined. One of the parents or the caregiver would answer the scale questions and also the child's teacher can answer a copy of this test in order to observe the child's behavior in different situations. •	This scale helps psychologists and educators make diagnostic decisions according to the diagnostic criteria of DSM- 5. 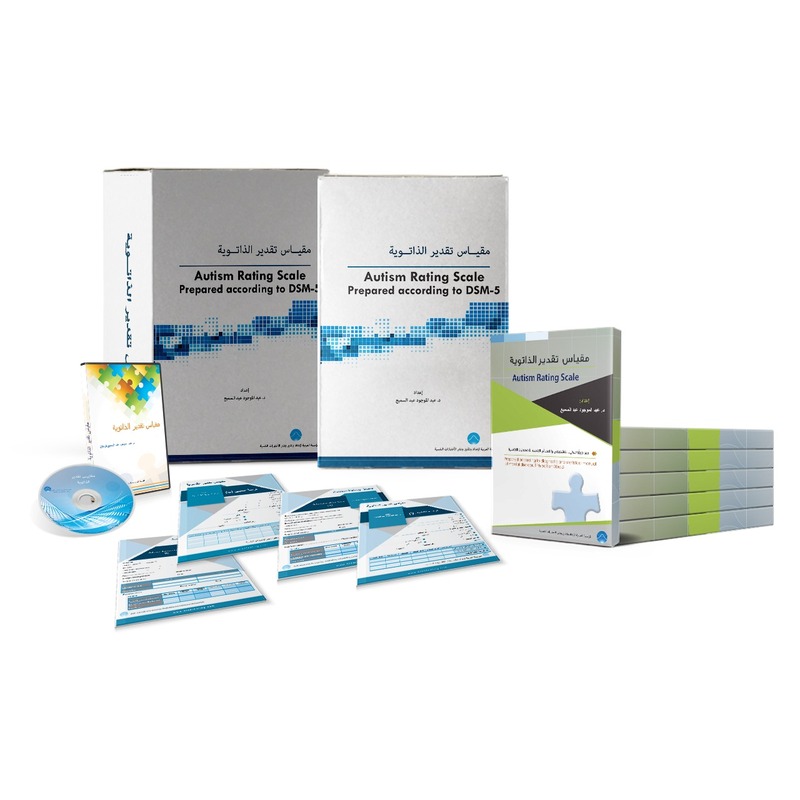 •	Helps in determining the severity of impairment in social interaction and communication. •	Helps in determining the severity of impairment in restricted and repetitive behaviors. •	Helps in following intervention programs according to AAS score. •	It could be administered in English or in Arabic. •	Provided with computerized scoring software. •	Could be administered through using mobile or tablet. •	Within each report there are two reports, one used to determine the current status and the other used to demine the previous status to examine the status of improvement. •	The items of the scale are distributed on the diagnostic criteria of DSM5. •	It includes scores that calculate change. 1. Record Forms 2. Examiner's Guide. 3. CD includes the computerized scoring software through using the laptop.